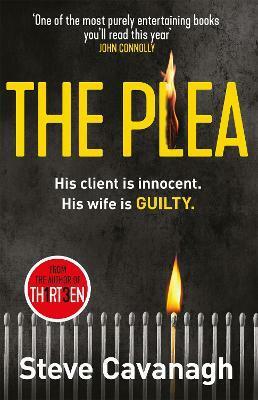 The Plea : His client is innocent. His wife is guilty. Your client is innocent. Your wife is guilty. Who would you fight for? But Eddie is convinced the man is innocent, despite overwhelming evidence to the contrary. With the FBI putting pressure on him to secure the deal, Eddie must find a way to prove his client's innocence. But the stakes are high - his wife is in danger. And not just from the FBI . . .